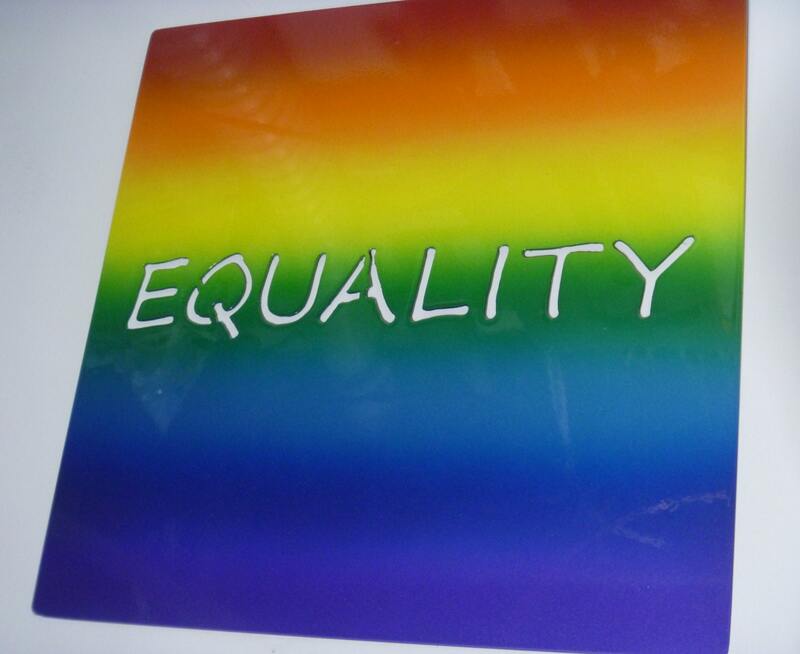 Gay Pride rainbow signs are a beautiful sign of PRIDE and EQUALITY! 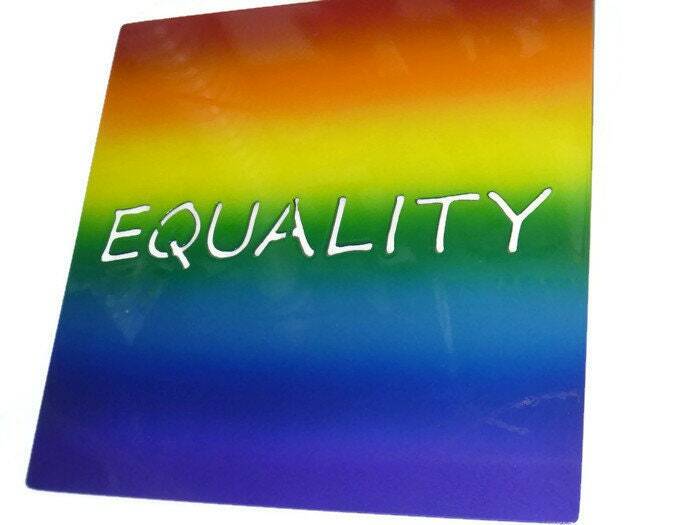 Show support for your choice or that of your friends and family with one of our stunning rainbow signs. 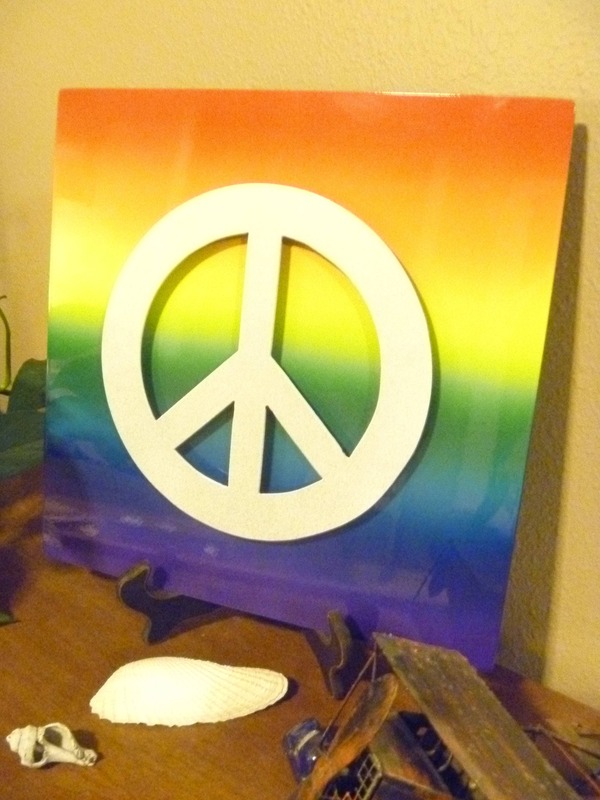 Beautiful rainbow sign is a lifetime product. 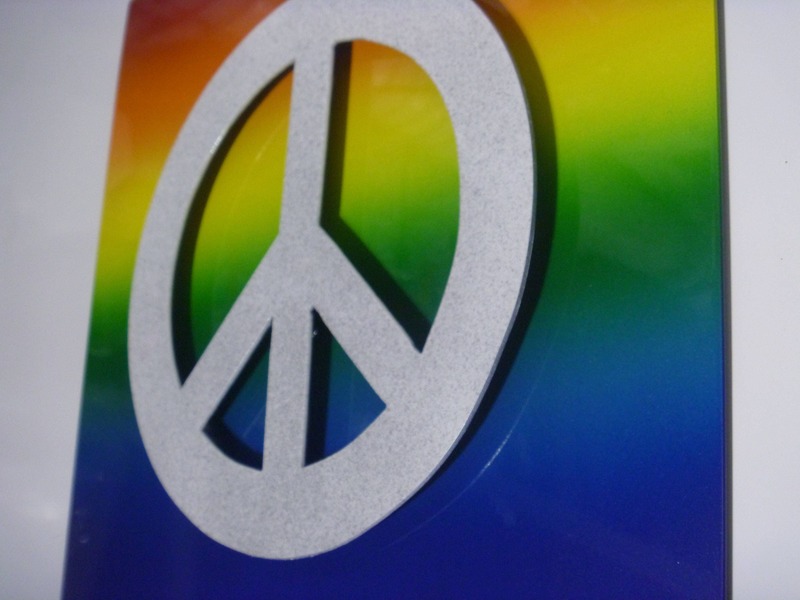 The gorgeous sign is cut from steel about as thick as a nickel. This glossy rainbow is coated with automotive quality paint and clear-coat. 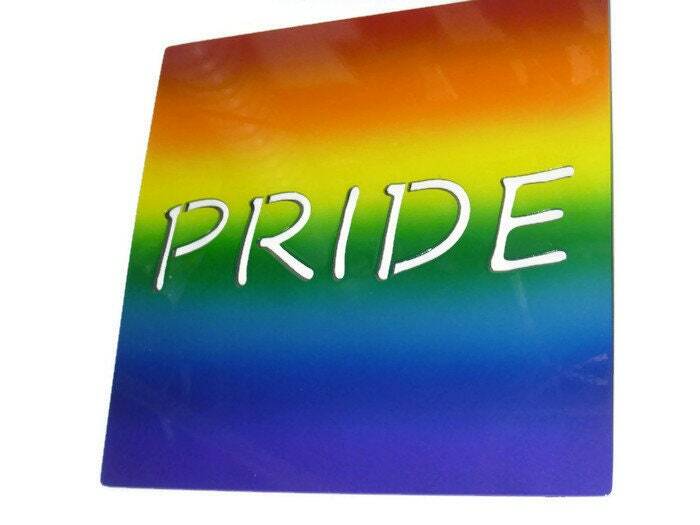 Gay pride signs are safe to display indoors or out without rusting or fading. 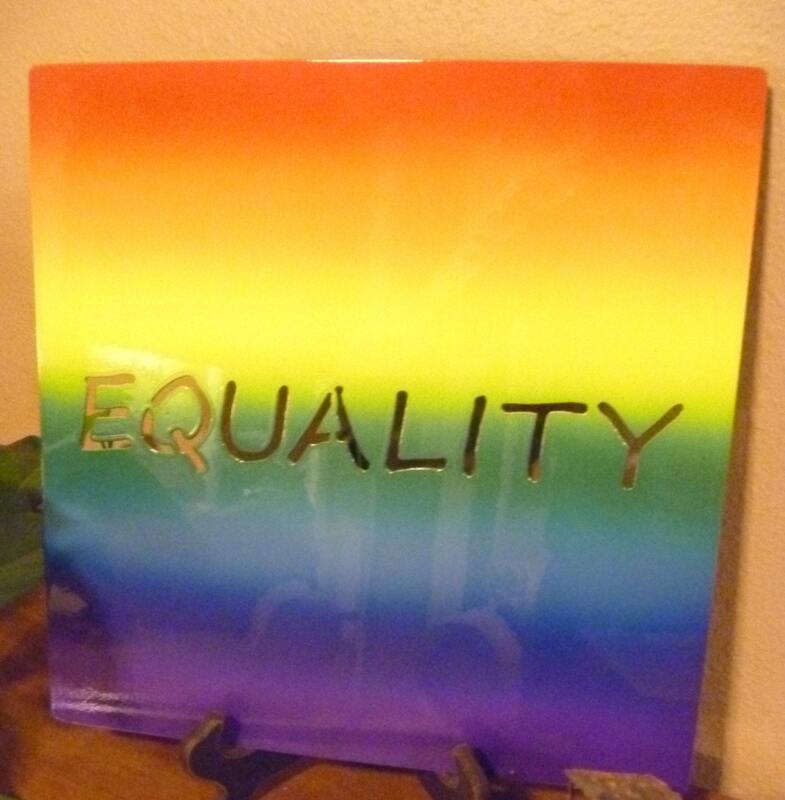 You can see your reflection in the clear-coat! The metallics and pearls make this a show-stopper. Beautiful, quality product! 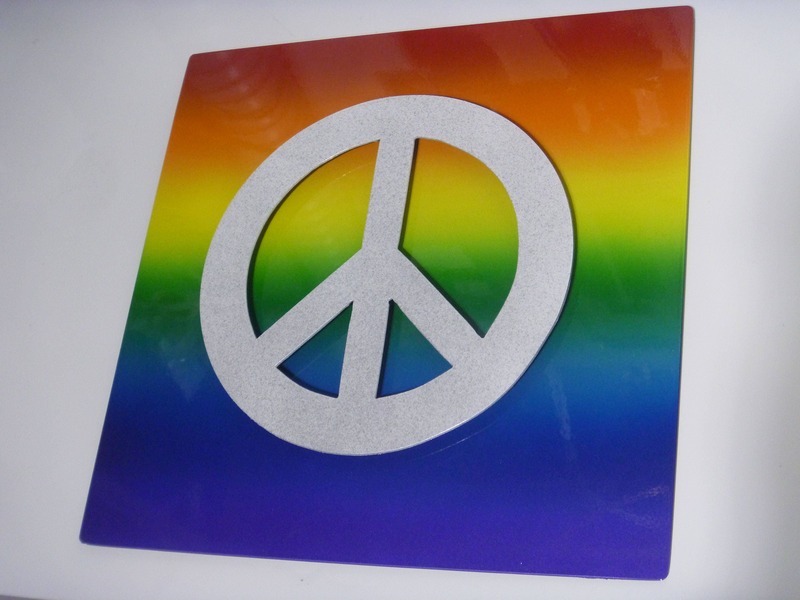 You will not find this design anywhere else! Sturdy sign is of much better quality than the tin signs at the hobby store. Lifetime product makes a great wedding or engagement gift. Size is great for home or office! 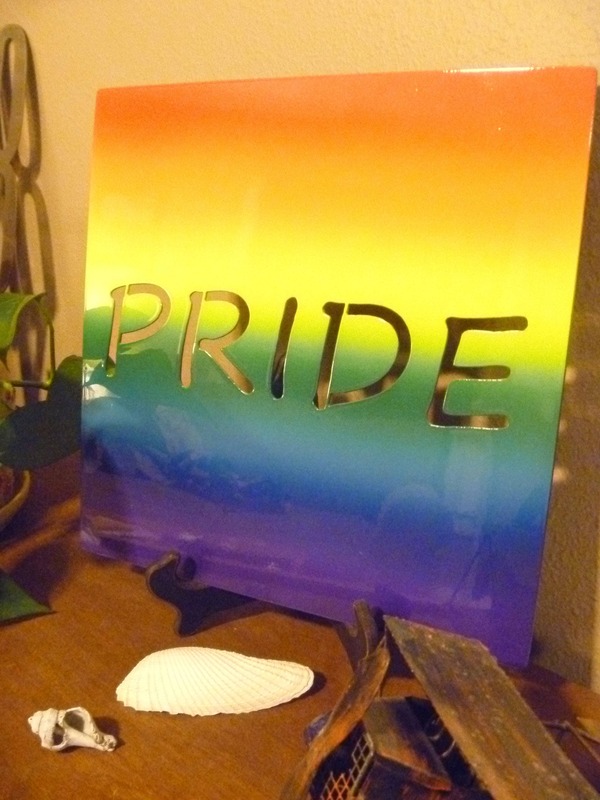 Easily hang from hidden bracket hangers on the back of the sign or display on an easel or plate rack as shown. 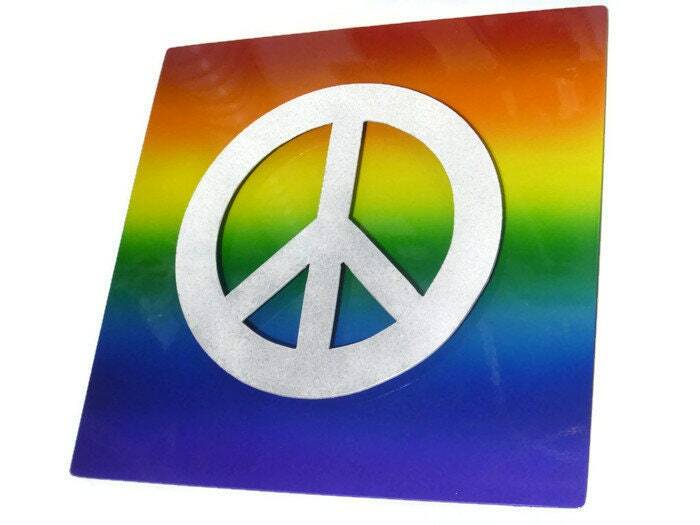 Your choice of PRIDE, EQUALITY, white metallic peace sign, or a set of all 3 signs. The set of three makes a great display piece or focal point for your gallery wall. Signs are 15" square. Ready to ship! You can expect delivery in about 3-5 business days. We hope you love this sign as much as we loved creating it for you!